Domain Locking is a security feature offered by domain registrar to Top Level Domains like .COM. It prevent unauthorised transfers of our domain to another person or registrar. 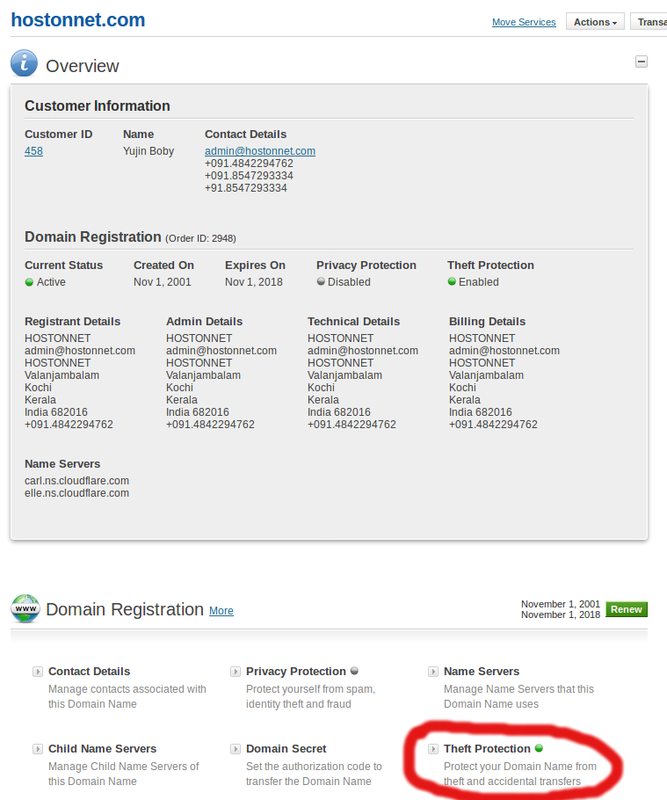 1) First login to your Domain Control Panel, search for the domain name and proceed to the Order Information view. 2) Click the Theft Protection link. 3) To Enable Theft Protection: select the Enable button. 4) Click the “Update Theft Protection Status” button.